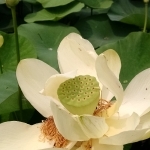 All Lotus programming supports the institutional mission: our annual Lotus World Music & Arts Festival; our Lotus Blossoms Educational Outreach program; the Lotus Firebay, our community space for performances and workshops; and Edible Lotus, our fundraiser; as well as a vibrant Visual Arts program. 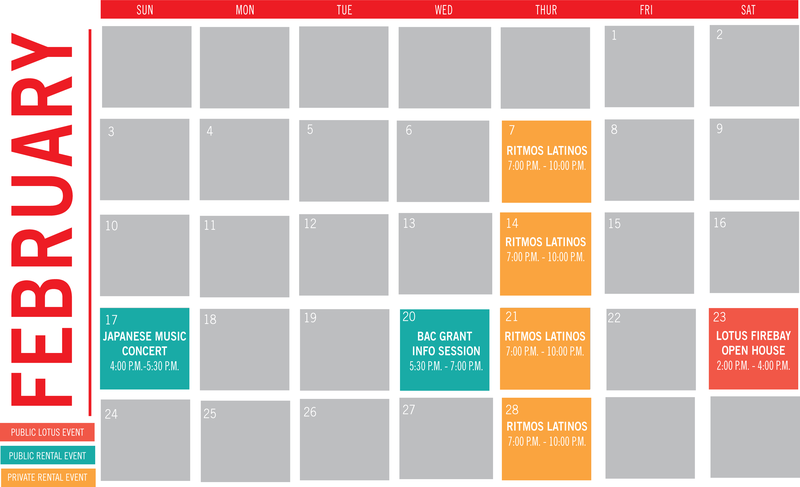 Lotus also offers special programming and events with community partners throughout the year. 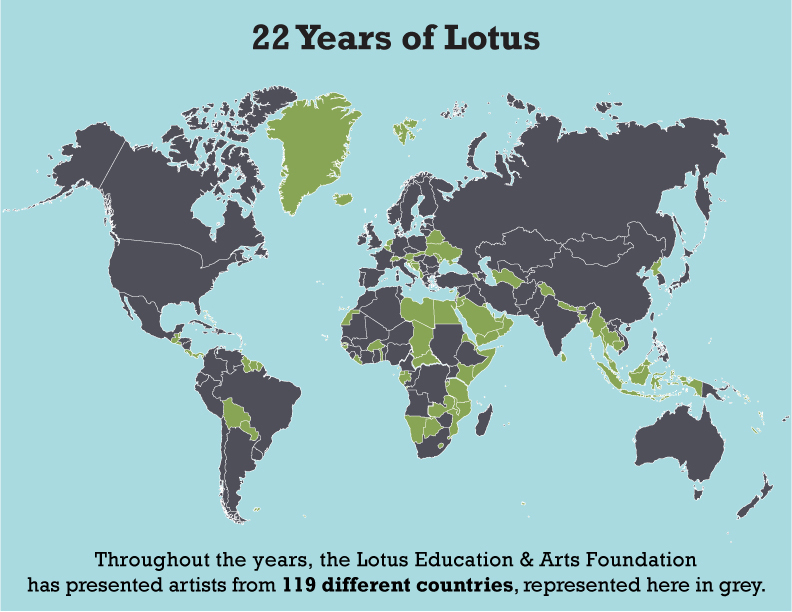 The Foundation’s flagship program is the Lotus World Music & Arts Festival. 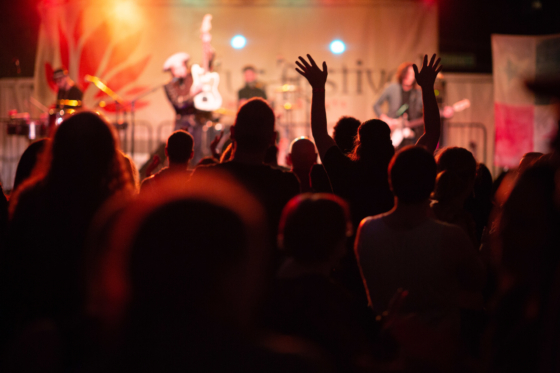 Established in 1994, the Festival is one of the oldest world music festivals in the U.S. and the only festival of its kind in the state of Indiana. 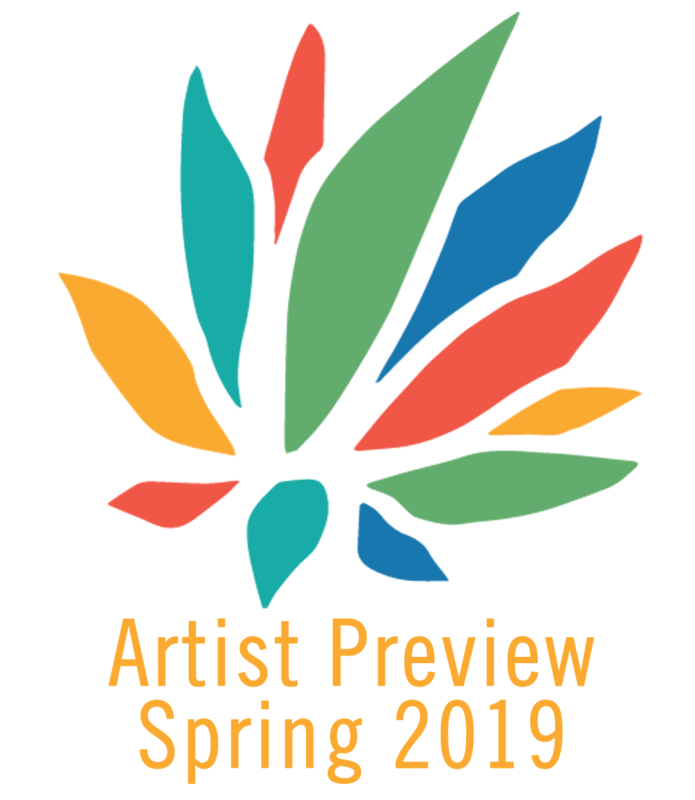 Now entering its 25th anniversary year, it attracts more than 12,000 people to downtown Bloomington annually each fall, for 4-5 days of music and arts from around the globe. Through the Festival, Lotus creates – on a grand scale – the rare opportunity for audiences to experience places far removed from their everyday routines and to broaden their worldview through the arts. Lotus is supported by a diverse funding base that includes individual contributors, business sponsors, foundation and governmental grants, and ticket revenues. 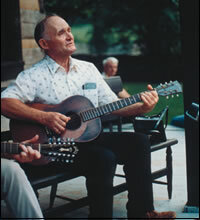 The organization is named partly in honor of Indiana musician Quinten Lotus Dickey (1911-1989). His spirit of open inquiry into the music of cultures other than his own—and his gifts as a musician, singer, and songwriter — inspired the founders. By choosing the name “Lotus” for the Festival, the founders wished to equally honor our local heritage as well as the international scope of the music and musicians who would come to perform. 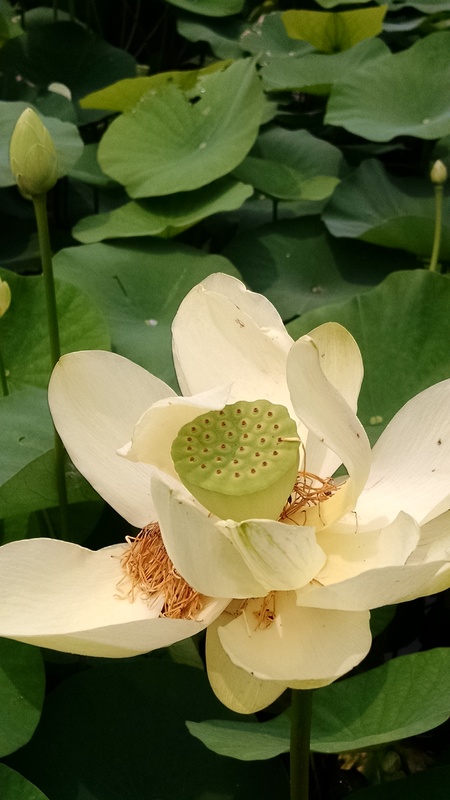 We are proud to celebrate Indiana musician Quinten “Lotus” Dickey as a partial namesake for our Festival, alongside the Lotus flower which has deep meaning in many cultures and religions and blooms all over the world — including right here in Indiana. A gifted folk singer, songwriter, and musician from rural Orange County, Lotus Dickey (1911-1989) wrote beautiful songs that still speak to people of all walks of life. He was a singer, a prolific songwriter, and a musician who played fiddle and guitar. The tunes and songs that he wrote drew from his family and community, as well as from country singers and fiddlers he heard on the radio. Lotus Dickey performing in Indiana in the 1980s. Photo by Nan McEntire.